The Rev. Craig Kuehn is our interim priest-in-charge. He and his wife Suzanne joined the Trinity Church family in March, 2014. Fr. 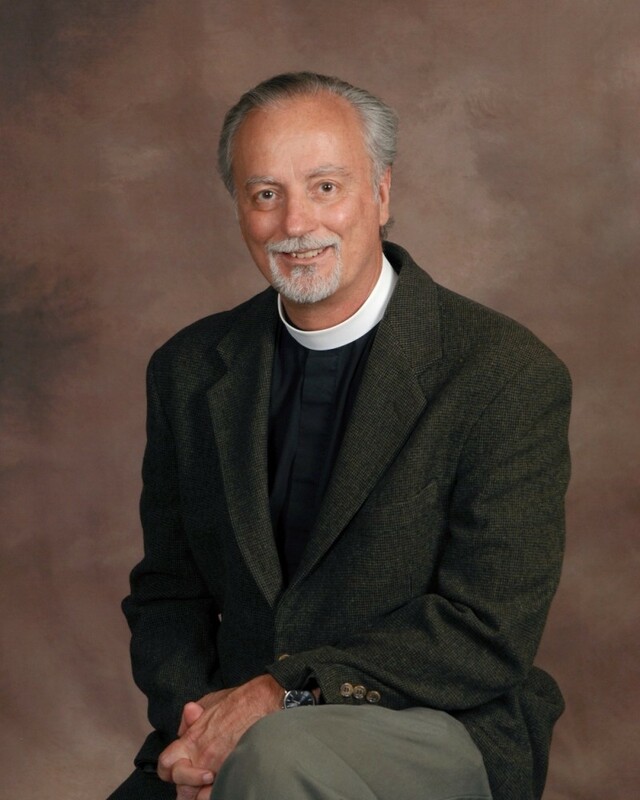 Craig graduated from CDSP in 1993 and retired as rector of Our Saviour Episcopal Church in Placerville in 2014 and with Snowline Hospice in 2017. Fr. Craig served on many diocesan committees, including the Standing Committee. Fr. Craig is the former dean of our deanery. Craig and Suzanne Kuehn are both originally from Salt Lake City. They met at the Campus Christian Center at the University of Utah and married in October of 1972. Craig graduated with a degree in economics from Westminster College of Salt Lake (the place with the most Olympians at Sochi) and Suzanne graduated from the University of Phoenix with a degree in Business Administration. Suzanne is Director of Finance with Motherlode Rehabilitation Enterprises (MORE) in Placerville. The Kuehns have lived in Salt Lake City, Ogden, UT, Ely, NV, Wayne, NJ, Berkeley, Yuba City, and Placerville, where they now live. They have one surviving son, Brian, who moved with his family to the Sacramento area in 2017. Stephen died in 2001. Brian and Kyrie have a daughter, Astrid. They had two champion Portuguese Water Dogs, Olivia and Brutus. Brutus died in 2017. Olivia has an Award of Merit given to the top ten dogs of the breed in the country. One of Olivia’s puppies was in the Best of Show ring two years running at Westminster, having won best of Working Group. We welcome all of the Kuehns, both human and canine.